SkyWatcher Panorama eyepieces offer very high performance and features for a very low price! Thanks to super wide 82° apparent field of view, SkyWatcher Panorama eyepieces provide an amazing viewing experience over a very flat, well corrected and visually distortion-free field and they will let you see more field at the same magnification of a standard eyepiece. Features a built-in, soft rubber eyecup which extends by rotating an external collar. 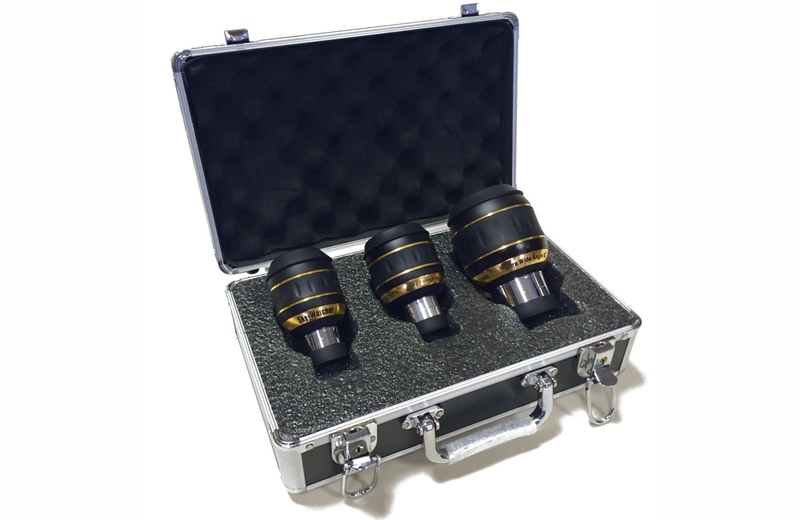 Buy the 3 eyepieces set at a discounted prices, hard case included in the price! SkyWatcher Panorama eyepieces have a high eye relief on all models so they're not only very comfortable but also suitable for spectacle wearers. All models are fully broadband multicoated for high contrast and maximum light transmission. SkyWatcher Panorama eyepieces are threaded to accept standard filters.